Kym has co-founded: FreeRange Permaculture, non-forprofit community group Permaculture Cairns, King Brown Technologies and RegenAG®. Currently Kym works for RegenAG® to establish collaborative regional partnerships, farmer to farmer networks and convenes Regenerative Agriculture events around Australia. He is an entertaining speaker well known for his passionate and whole-hearted persistent promotion of how thoughtful design and Regenerative Agriculture can build the future for resilient, profitable and regenerative farming and urban communities. Kym has trained with and been mentored by Latin American based organisation MasHumus, whose educator profiles are below. 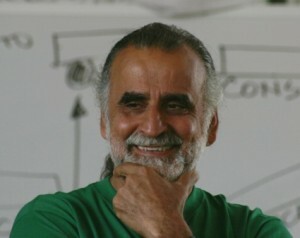 Eugenio Gras is one of Latin America’s foremost sustainable agriculture experts. Currently working intensively for MasHumus in the training of farmers, producers, academics and professors throughout Latin America, Eugenio has taught and spoken worldwide on his innovative techniques for creating organic, natural fertiliser from whatever is at hand on a given farm. 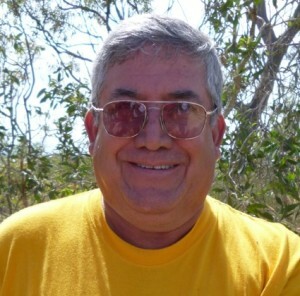 Jairo Restrepo is a qualified agronomist engineer and agro-ecologist. He has worked as a consultant to the UN and UNESCO and is credited with establishing Ecuador’s organic banana industry. Jairo has delivered over 25 International Courses, published over 40 scientific papers and 15 books on topics related to organic agriculture. He has worked as technical advisor and consultant to farmers, ministries and parliaments and has more than 25 years in organic farming and sustainable rural development experience. Nacho Zamora is a highly qualified agronomist, engineer and agro-ecologist and Chairman of the Organic Council of Michoacán in Mexico. As Director of Gaia Environmental Advisory, Nacho commercially sells an array of microorganisms such as entomopathogenic fungi and beneficial bacteria. He is a highly sought after consultant to producers of fruit and vegetables and has taught courses in organic agriculture extensively worldwide. How the benefits of Local Food Systems can create resilience, stability and abundance for both local farmers and the wider community. Joel Salatin is a third generation beyond organic farmer and author whose family owns and operates Polyface Farm in Virginia’s Shenandoah Valley. The farm produces salad bar beef, pigaerator pork, pastured poultry, forage-based rabbits and direct markets everything to 4,000 families, 40 restaurants, and 10 retail outlets. 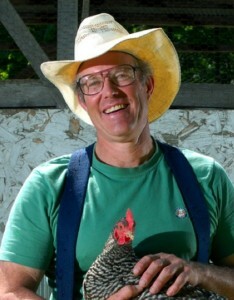 A prolific author, Salatin’s seven books to date include both how-to and big picture themes. The farm features prominently in Michael Pollan’s New York Times bestseller Omnivore’s Dilemma and the award-winning documentary, Food Inc. Joel’s website. Practical, natural materials and good design to repair and restore the most degraded gullies, creeks and floodplains back to their natural capacity as moisture-rich landscapes. 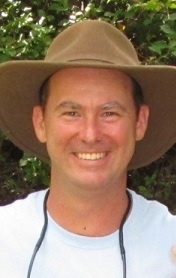 Craig Sponholtz is internationally respected for his innovative work with numerous stream and wetland restoration methods, as well as his extensive hands-on experience in designing and constructing passive water harvesting, erosion control and stream restoration projects. 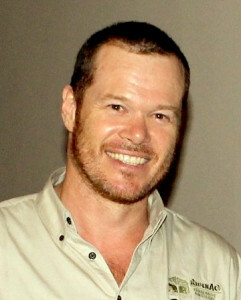 Craig founded Watershed Artisans in 2003. He designs and implements watershed restoration projects throughout North America. He specializes in low impact techniques and in-stream structures. 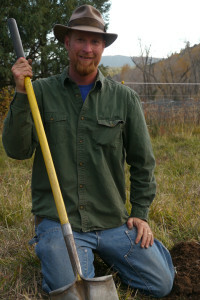 Craig teaches watershed restoration techniques internationally and strives to foster beneficial relationships between people and the watersheds they live in. Craig is a member of the much respected Quivira Coalition, alongside Bill Zeedyk. Quivira do world-leading work in watershed restoration and landscape function. Pasture cropping is a technique of sowing crops into living perennial (usually native) pastures. Colin Seis and his son Nicholas own and run the 2000-acre property “Winona” which is situated North of Gulgong on the central slopes of NSW. The Seis family has been farming and grazing there since the 1860s. Winona runs around four thousand, 18.5 – micron merino sheep, which includes a 58 year old Merino Stud and “Pasture crops” around 500 acres annually to oats, wheat and cereal rye. Winona also runs one of the largest kelpie working dog studs in the world. Colin’s website.. Pasture cropping is a technique of sowing crops into living perennial (usually native) pastures and having these crops grow symbiotically with the existing pastures.Colin Seis and Daryl Cluff initiated this idea about 15 years ago and since that time Colin Seis has spent much of his time perfecting this technique. 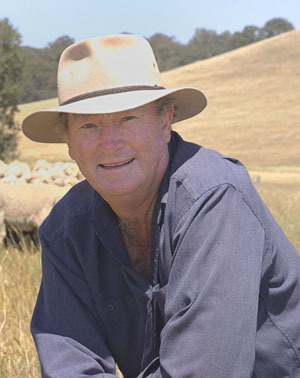 Colin discovered that it is possible to grow many different types of winter and summer growing crops, without destroying the perennial pasture base, while sequestering large amounts of carbon.Over 1000 farmers across Australia practice pasture cropping in a whole range of climate zones. RegenAG is proud to have Colin Seis as a trainer this year and we hope to help further this revolutionary concept to become the new standard of best-practice cropping. Animal and land management practice that mimics nature to benefit grazing stock and biodiversity at the same time. 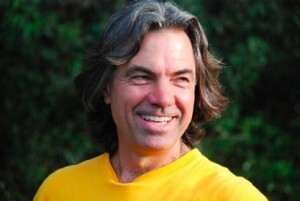 Kirk Gadzia is a certified instructor with the Holistic Management International Center and founder of Resource Management Services with over 20 years experience teaching the concepts of Holistic Management worldwide. 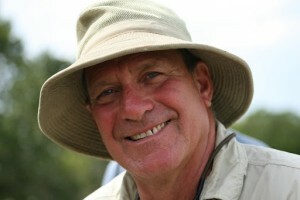 Combined with his extensive international consulting work on many agricultural operations, Kirk is uniquely qualified to help stdents achieve their learning objectives. Years of assisting people on the land has helped Kirk approach his courses in an interactive, hands-on style. His courses are known for a relaxed atmosphere, open dialogue and practical real-life examples, as well as their effective knowledge transfer that leaves students ready to put Holistic Management into practice. Kirk’s website. Rodger Savory has been a soldier, scholar, rancher, forester, consultant, involved in Holistic Management since 1987(25yrs) starting as a cowboy and working his way up in knowledge and practise. He has owned and profitably operated different scale cattle, wildlife and forestry properties under numerous different climatic conditions using HM as the framework for decision making to ensure that the Holistic Context under management achieved its’ goals financially, environmentally and socially. He managed the Africa Centre for Holistic Managements, Dimbangombe Ranch which has won numerous global environmental awards for its successes. Rodger pioneered Biological Carpeting as method of jumpstarting life cycles on mining sites and severely desertified lands. He has run his own consulting business Savory Grassland Management since 2006. Rodger has his B.U.S. degree from the University of New Mexico U.S.A and is an accredited consultant with the Savory Institute for Holistic Management “Leading the Brown Revolution for healthy soils”.